Food available from the Clinton County Fairgrounds! Designated driver tickets will be available at the door for $10. 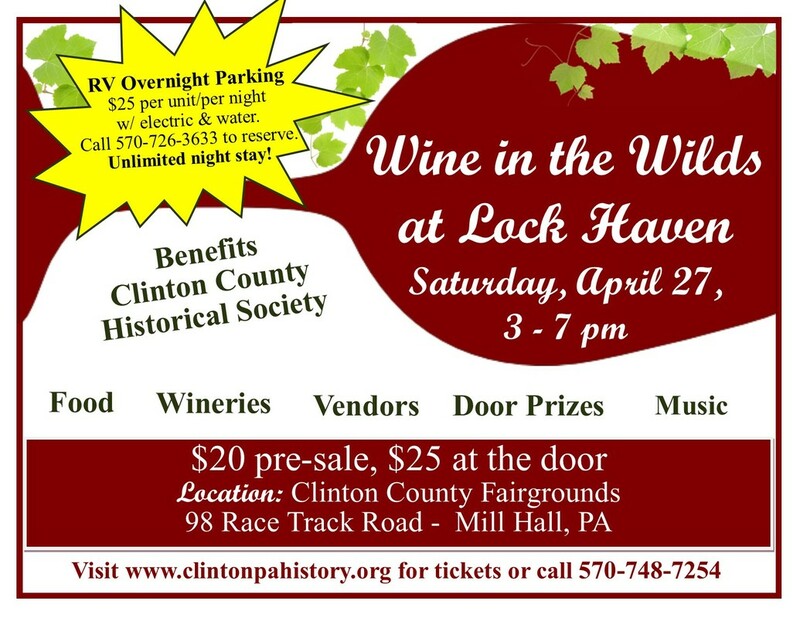 Benefits Clinton County Historical Society. You must be 21+ years old to enter and provide I.D. for $25 per unit, per night with unlimited night stay. ​Call 570-726-3633 for your reservation today!